Every project involves the construction of a quality home. Homes for Homes partners with faith-based ministries in communities that desperately need housing to help meet those needs. Whether it is a family in Mexico or a widow in Uganda, quality shelter is critical to the health and safety of every individual. By providing a home, we are helping to empower families to improve the future for themselves and the generations to come. At this time, we are working with partners on the ground in Uganda, Mexico, Guatemala and Honduras. Our donors are helping to transform communities, one home at a time. LOCAL LABORERS are a key component of each project. Each home not only provides a safe shelter for the family, but it also provides income to the men in the community that construct each home. So every project not only impacts the family receiving the home, but also the families of workers that earn a fair wage for their efforts. LOCAL RESOURCES are used to construct the home which also contributes economically to the local community. All of this is managed by trusted ministry partners that oversee the construction from start to finish. The homes are consistent with the style of the communities in which they are built. Regardless of the location, all homes have a concrete floor and a solid roof. And by utilizing local resources, we are adding financial stimulus to the local economy. LOCAL LEADERS are utilized to select the families that receive a home. This structure allows us to walk alongside and support community leaders who know their communities best. Families with the most critical situation are evaluated and selected by these leaders. Contracts are prepared for construction on the family's legally-owned property to ensure that the family will retain ownership. TRANSFORMING COMMUNITIES is the ultimate goal of our ministry by empowering local leaders, employing local laborers and inspiring local families. It is a privilege to be a part of changing the living conditions for a family and improve their situation. 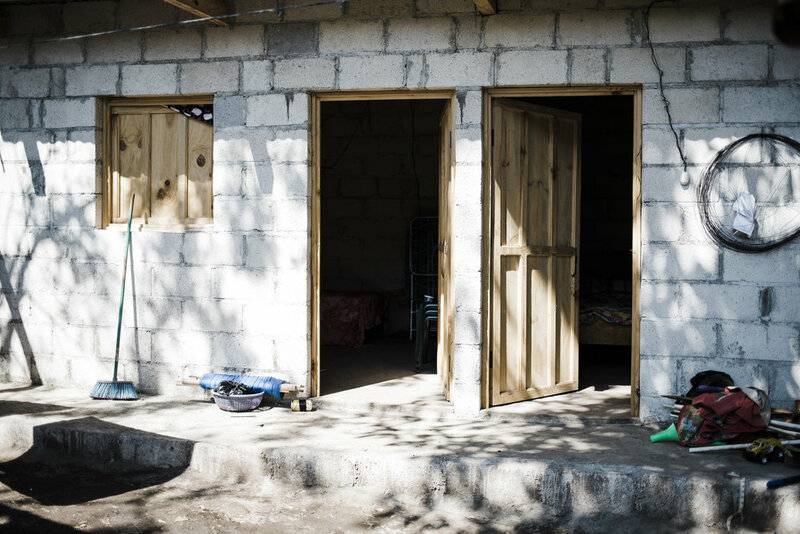 Our donors receive photos of the completed homes and communication about the families impacted. You can see the most recent projects and communities impacted on our NEWS page.